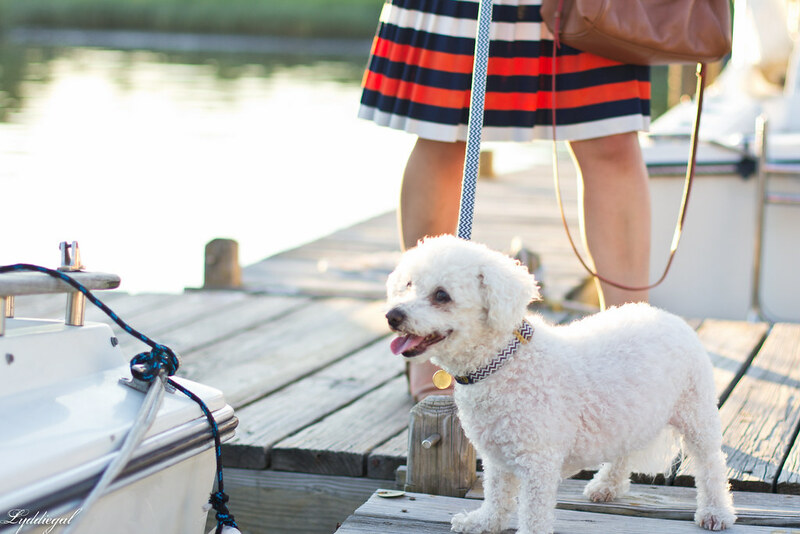 Despite living walking distance from the water, I couldn't tell you the last time I was on a boat. I've said for years that I want to learn how to sail, but I've never seriously pursued it. Perhaps most of my dreams about sailing are fed by images like this which feed more into my sartorial dreams than anything else, but still I want to sail. Maybe next summer. Well this provides a great photo backdrop if nothing else! I imagine it is very hard to learn to sail. I love the striped bottom of your dress. I'm sure you'll get to it eventually - and, in the meantime, what a dreamy place for nautical inspired photos! Well the background matches your outfit perfectly. 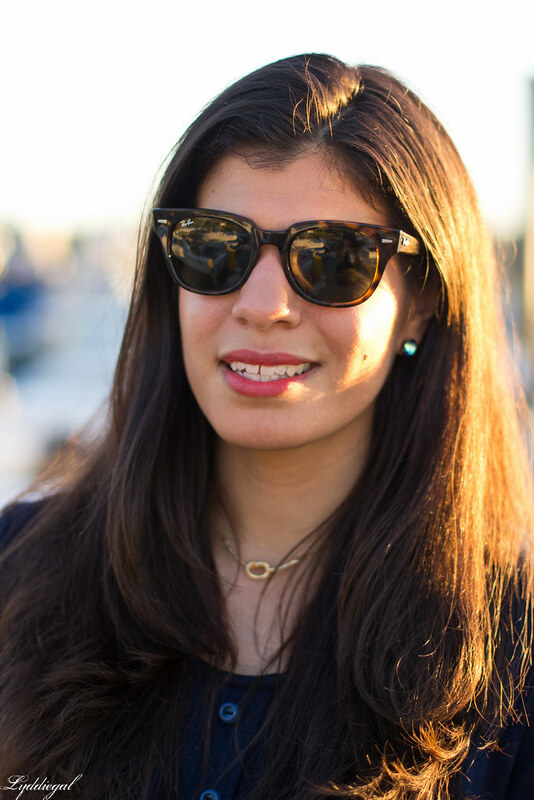 I love your dress, navy enamel bangle and knot gold necklace. 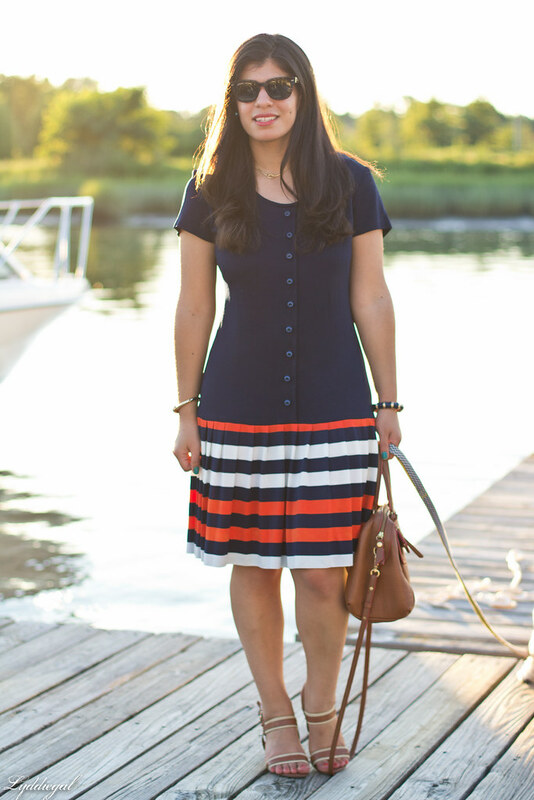 loving the nautical feel of this dress and let me say you are totally pulling off the drop waist. Love it! 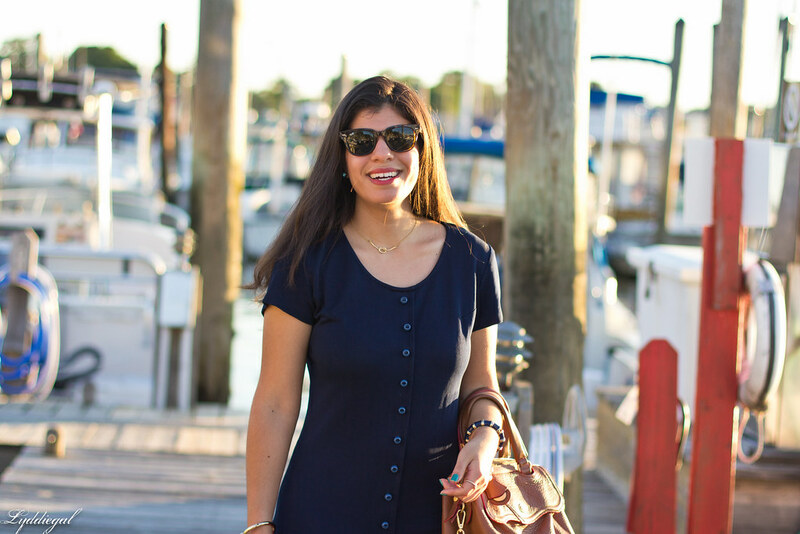 This dress is super cute and you totally look like you belong on a boat in this outfit! What a flattering dress! It looks fabulous on you! And as always, your pictures are beautiful. I love the background every single post! 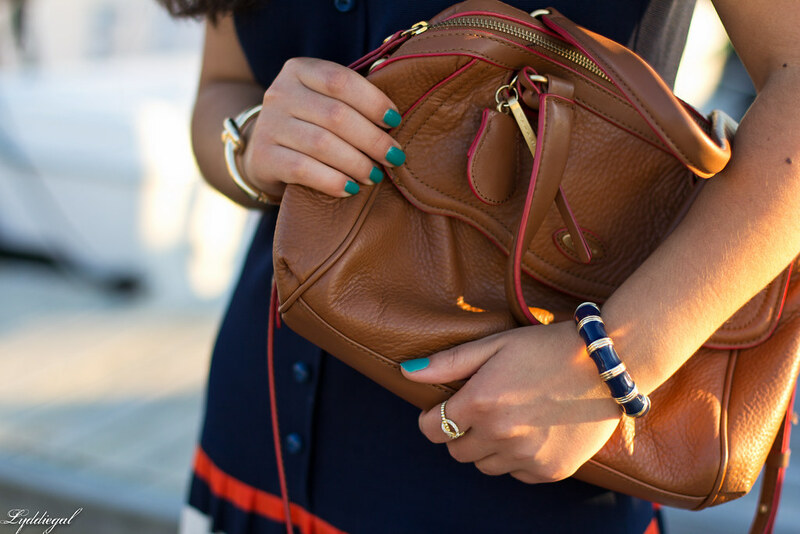 Love the nautical look! Such a cute dress! I agree that it does make for a great photo spot (and a clever title I might add!). In college my best friend and I joined sailing club to learn how to sail (on a lake of course... #landlocked) but we never did stick around in the club long enough to learn anything. So I'm a sail school dropout I guess! Your photos are gorgeous! 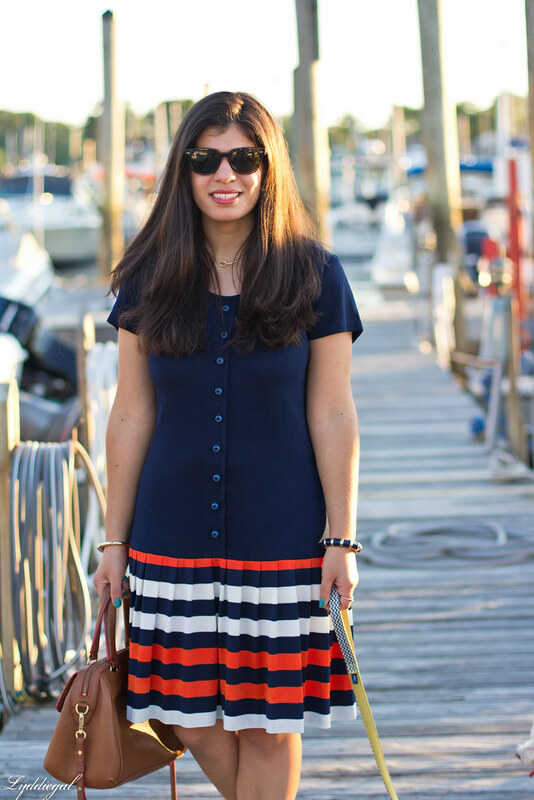 Love your nautical dress! Beautiful dress dear, love the style!!!! You find the best spots for photos! 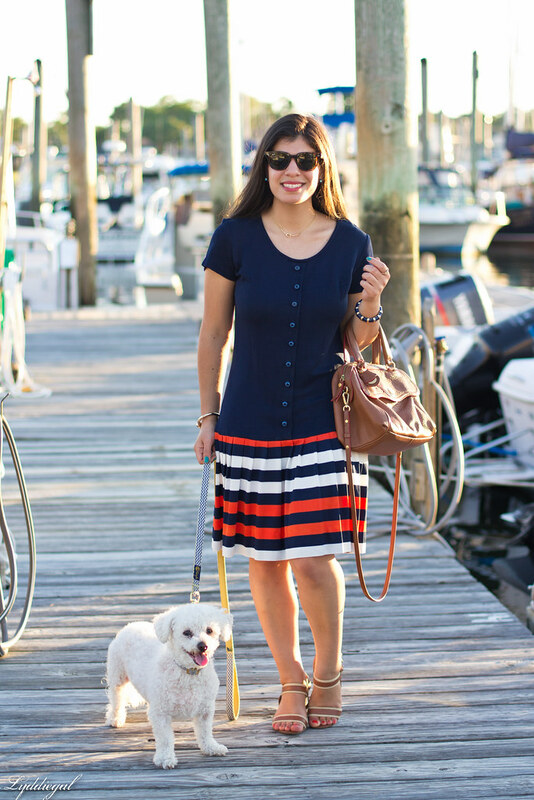 Love the nautical backdrop for this nautical outfit! 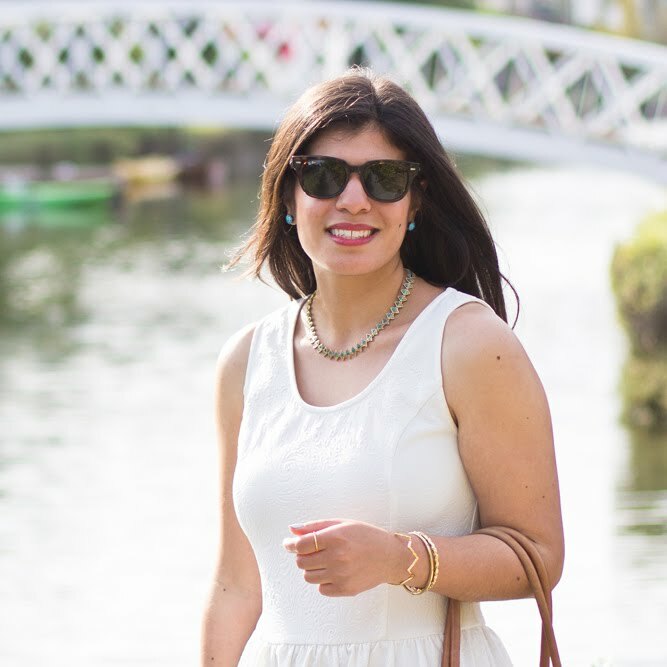 Love this classic look and you have the perfect accessories, especially the furry one! 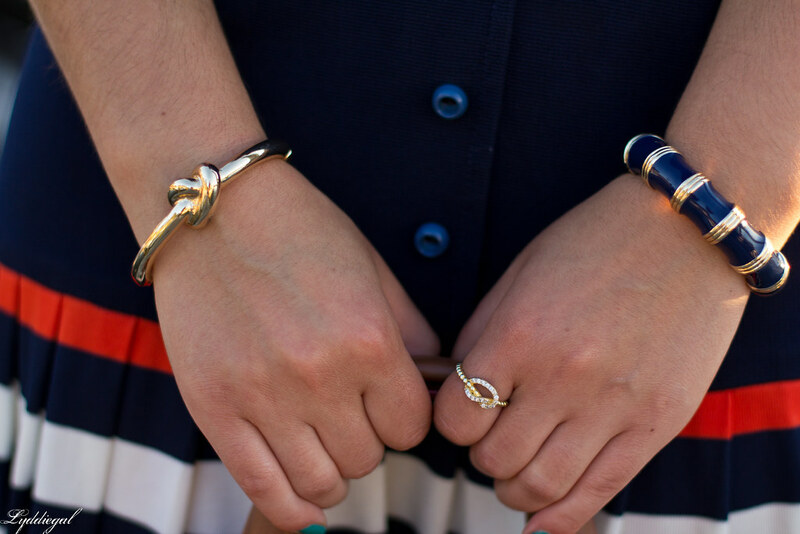 Pretty dress and always love seeing you with your great nautical accessories. I wish I could learn to love sailing more but my body can't handle the motion and get seasick too quickly. 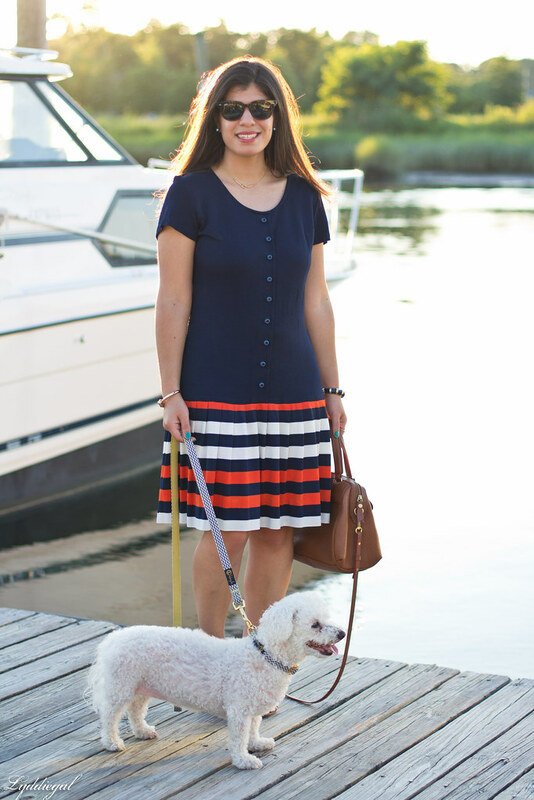 Love the interesting and more colorful nautical vibe of this dress!! You look beautiful. I love the stripes. I would love to know how to sail and have dreamed about it for years but honestly I am kind of scared of it. If you do give it a try please let me know how it goes. Maybe you will be able to ease my fears. Well, at least you have the wardrobe to assist the sailing competition after parties ! Put it on your bucket list next summer! I suspect sailing is a lot of work, but that's why the man is around to take care of the more difficult tasks while you sip champagne in a striped outfit!